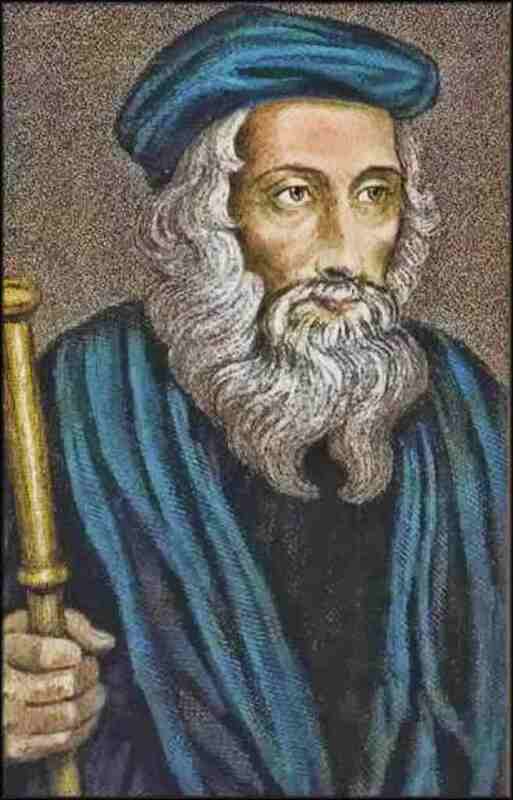 On December 31, 1384 Oxford scholar and theologian John Wycliffe died. He was the first to translate the Bible into English. With the proliferation of translations today, that does not sound like a big deal, but in his day it was a very big deal. A ridiculous question will serve to illustrate the point. Should we use a special language to read the Bible, pray or preach? You probably have never thought of asking that question, which is good. But 500 years ago it was a burning question. So much so that some were burned at the stake for giving the “wrong” answer. Wycliffe and others had the audacity to use their mother tongue to communicate truth of God. You see, Latin had become the language of the church, of education and of politics, even though only a small minority spoke it. Wycliffe studied at Oxford, and later taught there, all in Latin. When he wrote scholarly articles, they were in Latin. 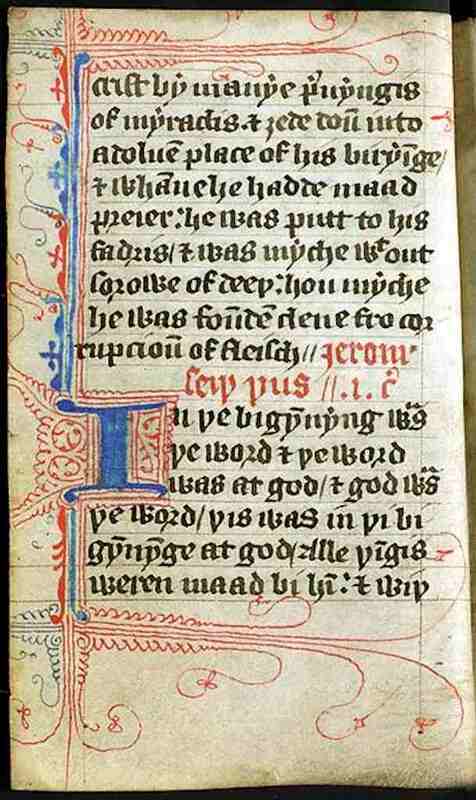 All preaching was in Latin and people were obliged to pray in Latin, whether they understood it or not. Ordinary people understood very little of what was happening in church. This situation created all sorts of problems including corruption in the clergy and a lot of superstition among church goers. Wycliffe wanted something different. He started by writing some of his academic articles in English. Some were aghast. Then he started translating the Bible into English. He formed a group of like-minded traveling preachers who took his translation to churches where they read it and preached in English. Believers should looks to the church to interpret the Bible for them, rather than interpreting it themselves. But Wycliffe kept at it. After he died, he was judged by a church court and found guilty. His bones were exhumed, burned and scattered in a river. His translation and writings were banned, but the circulated in secret. His ideas did not go away, rather they continued to percolate and eventually became the norm – so much so that many do not know that church services and Bible readings in English were once illegal. That’s right, illegal. Latin was not just the language of church. It was the language of education and of politics. If you had lived in that day, you would have gone to first grade and had your teacher speak to you in Latin. If you went to court, Latin would be spoken by the attorneys and the judge. Wycliffe’s translation and other reforms eventually led to English becoming the language of education and government in Britain. Some scholars believe that the industrial revolution would have been impossible if Latin had been retained. If the bosses spoke Latin but not the workers, it is hard to see how a factory could work well, for example. Schooling in Latin could not have produced enough skilled workers to sustain industrialization. Yale professor of history, Dr. Lamin Sanneh, proposes that the translation of the Bible into the language of every man set the stage for democracy. If the most important truth of all – that of God — can be communicated in the common language and everyone can understand it, what rationale could there be to keep lesser information, such as that about government or law, from everyone? If everyone could interpret God’s holy book for themselves, then what rationale could there be for excluding people from making up their own minds about political matters? For Dr. Sanneh, democracy starts with the translation of the Bible into common language. Wycliffe did more than translate the Bible, his ideas ended up reshaping law, business and government. Some of us believe that we are involved in something similar today. We are doing more than translating the Bible into obscure languages. We are also giving people who speak those languages a new way to engage with the world. One of the findings of an evaluation of a local language literacy program in Ghana was that it gave people greater confidence to undertake new ventures. In addition, it resulted in more children in school and more succeeding in school. A study of Bible translation in the languages of northern Ghana concluded that it gave people a new sense of value and identity and at the same time greater harmony with their neighbors. It turns out that Bible translation is not just a religious endeavor. It also can and does bring changes changes to other parts of life too. This entry was posted in Bible, Bible impact, Bible translation, Christianity, Faith now, Heart language, Language, Religion and tagged bible translation, church language, English, John Wycliffe, language and economic growth, language and politics, Latin, translation of the Bible, wycliffe. Bookmark the permalink.